On January 31, 1961, Yaacov Herzog - the Israeli ambassador to Canada at the time - debated the historian Arnold Toynbee at the B’nai B’rith Hillel House in Montreal. He was responding to a lecture Toynbee gave just a few days earlier at McGill University, where Toynbee questioned the right of the Jewish People to even have a state. In his writings, Toynbee characterized the Jews as a “fossil” civilization. Rabbi Yisroel Meir Lau told a story that characterized one aspect of Herzog's rebuttal of Toynbee's claim that Jews are not a nation. An Olympic aircraft lands at Athens airport - and one of the passengers is Socrates. Since ancient Greek is not the same as modern Greek, a translator is needed. Socrates wants to see the Acropolis - but it is in ruins. So is the Temple of Zeus. No Neptune, Mars, Aphrodite, or Helen. Only Christianity. There are no longer countries under Greek rule. The only thing modern Greece has in common with the Greece of Aristotle or Plato is geography. Meanwhile, an Alitalia flight stops at an airport near Rome - and Julius Caesar gets off the plane. Latin and Italian are different, so a translator is needed. Caesar wants to go to the Temple of Jupiter. They offer instead to take him to the Vatican. No Jupiter. No Colosseum either. Hebrew has been reestablished as our language, just as Israel itself has been reestablished as our land. And like the land and the people, Hebrew is also special. 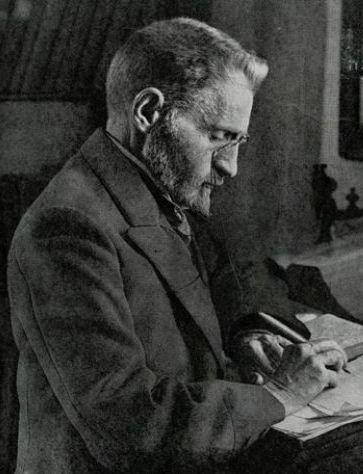 In 2007 on the 150th birthday of Eliezer Ben-Yehudah, David Hazony wrote about one aspect of the uniqueness of Hebrew, about how compact it is (the word "is" does not even exist in Hebrew). Hebrew also you to say in just a few words what can require sentences to say in English. The long history of Hebrew as the language of the Prophets is an unending source of idioms and ideas. Hazony describes how Hebrew has grown from a restricted language, comparable to Latin. It was used in the synagogue, to understand texts and in conversation only when Jews from different countries needed to bridge the language gap. Yet today the State of Israel thrives on that same ancient -- and not so ancient -- tongue. The density of meaning in Hebrew is a writer’s dream. Nearly anyone can imbue a seemingly simple sentence with multiple, generally complementary meanings simply by choosing a specific verb, verb form, noun or adjective. These double, triple and even quadruple meanings of one word are a source of unbounded joy for a writer. To take just one example, the Hebrew word “shevet” means returning and it also means sitting. And it is also a homonym for club – as in billy club – and for tribe. As this one example demonstrates, one joyful consequence of the unique density of the Hebrew language is that satirical irony comes easily to even the most dour and unpoetic writers. But the experience of speaking in Hebrew and of living in Hebrew is incomplete when it is not experienced in Israel. It is one thing to pray in a synagogue in Hebrew or even to speak regular Hebrew outside of Israel. The former is a spiritual duty and a communal experience. The latter is a social or educational experience. But speaking Hebrew in Israel is a complete experience. Hebrew localizes Jewishness, Judaism and Jews. It anchors us to the Land of Israel. Taken together, the Hebrew language and the Land of Israel stabilize a tradition and make the Jewish people whole. When it comes to Israel, Hebrew is unifying as well. Hebrew is alive and well. At least in the Arab and Druze communities. For students from those sectors, the Hebrew language has become the new business administration - a social and professional catapult to get ahead and succeed in life. The sticklers add Hebrew literature, too. It's a triumph of practicality over ideology. The traditional attitude that language is part of national identity and that to study Hebrew is to cross the line, has given way to the quiet conquest of the Hebrew Language Department - at the University of Haifa by Arabs from the north and at Ben-Gurion University by Bedouin from the south. The graduates are almost always assured of a teaching job, which brings with it a livelihood, honor and prestige, relatively speaking. Hebrew is obligatory in every Arab and Bedouin elementary and high school, and good teachers are in high demand. But ironically, if Hebrew can be a tool for the unity of Jews and Arabs in Israel, it may also illustrate the disunity among Jews in Israel and those in the Diaspora. Hillel Halkin wrote 10 years ago that historically Hebrew was the "Jewish lingua franca" until modern times: "a Jew with a reading knowledge of Hebrew—and only such a Jew—had access to the thought and creativity of Jews everywhere." The change came towards the end of the 19th century. In 1896, Ahad Ha'am started publishing his review Hashiloah, he did it in Hebrew. He considered it the natural language of the Jews - in any other language, the periodical would be understood by Jews in some countries, but not in others. Ahad Ha’am’s confidence, however, was misplaced. By the time Hashiloah was founded, Hebrew as an international language was steeply on the decline, and the journal folded after several years—the very years, it so happened, in which the spoken Hebrew revival was taking root in Palestine. As for American Jewry, by the time Ahad Ha’am died in 1927 it had its own literary review, the Menorah Journal, which would have embodied Ahad Ha’am’s editorial vision almost entirely were it not for the fact that it was in English. Most of its readers could not read Hebrew at all. They were the first of the new audience of American Jews for whose benefit the great Hebrew-English translation enterprise of the last 50 years has taken place. If an Eldad the Danite were to turn up today, Hebrew would not get him very far. 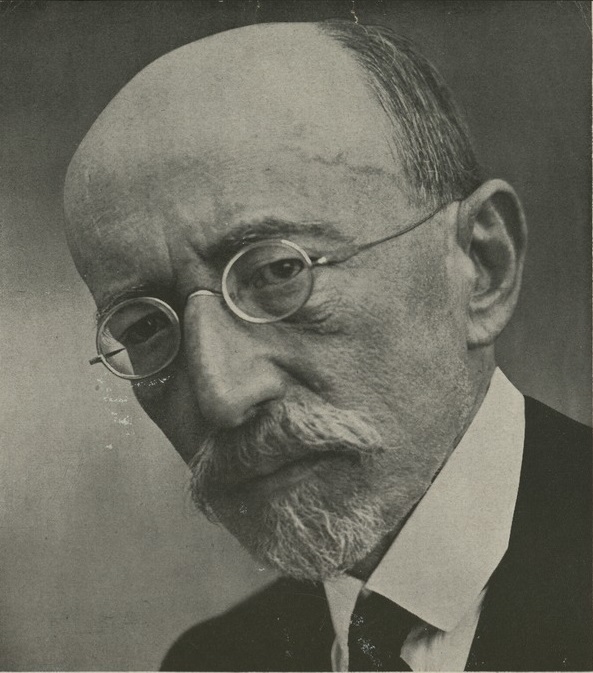 It is in English that Jewish travelers speak to Jews in foreign countries; in English that Jewish scientists in Russia e-mail to their Jewish colleagues in France and Jewish professionals in Argentina write to Jewish counterparts in Great Britain; and in English that our contemporary Eldads—peoples in remote regions making claims to ancient Israelite roots—enter into contact with the world’s Jews. Rabbi Lau's story would have gone differently if Moshe had gotten off the plane in the US instead of in Israel. At the same time that Hebrew has become the spoken language of Jews (and Arabs) in Israel, it has become a foreign language among Jews outside of Israel, in a way that it was not before. Many do not speak it. And some may not even recognize it. Also writing 10 years ago in The Forward, Philologos writes about the possibility that the slow adoption of Hebrew by the Arabs could lead, in a generation or two, to the integration of Arabs within Israel. But the bigger question remains. What will the Jewish community outside of Israel, in the US and elsewhere, look like in 2 generations?